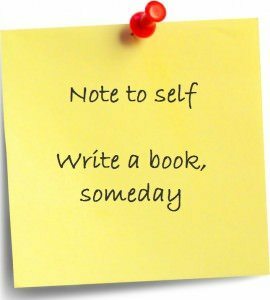 Write your book! C’mon, I know you can! Being the coach that I am, I had to respond to all the people I’ve met — and the thousands more I’ve yet to meet — who want to write a book. I know what it feels like to want something, but always have an excuse for not doing it. I’ve also talked to enough writers to know that the challenges I faced are the challenges that all writers face. But like the people I’ve already worked with, you too can learn how to make your book dream a reality. I realized this was a great opportunity to create a coaching teleseries enabling listeners to learn from my experiences — from wanting to write a book in the early ‘90s but lacking the confidence to not only writing a 5-star mystery but also tackling the process of self-publishing. The “Write Your Book” teleseries launched in January 2012 with great success. In particular, writers felt inspired by my transparency and appreciated learning from my mistakes! While I’ve spent most of this year working on my second book Stories from Spirit, which will be released in early December, I now have time to turn again to coaching would-be writers. This month, I’m offering a new and improved “Write Your Book” teleseries. So, if you’re someone who has always wanted to write a book, keep reading! I start the teleseries off with a freebie — a 50-minute call that anyone can join absolutely free. I do that because I love to inspire others and if there is anything I want to inspire you to do (if you are still reading) it’s to write the book that is in your heart. So in the first call, you hear my story of desire, fear and overcoming the odds. I share it because I know that if I can write a book, you can too! I also share some very important tips during the call because I want listeners to leave with more than an inspirational story. I want them to leave with basic know-how and next steps. For example, if you’d like to hear three of the top reasons why “would-be authors” never become “published authors” then you’ll want to listen to my seminar. Better yet, I share ways to get past these three road blocks to writing! If listeners like my facilitation style and still want more, they can sign up for my two, 75-minute teleconferences that provide “in the weeds” details on publishing — both traditional and independent. During these sessions, listeners build their own writing platform focusing on what they want to achieve and how they want to get there. Topics include: setting achievable goals, establishing accountability with a personal board of directors and success techniques to keep you on point. I’ll also share the best ways I’ve found to connect with other writers and how to begin building your brand even before your book is published. Basically, I’ll share everything I’ve learned because I want you to write your book! No matter if you’re just thinking about writing or maybe you’ve already got a manuscript underway, I hope you’ll join my free teleconference. And, if you like what you hear, I hope you’ll continue on with the following two sessions. After all, your future success might just need some inspiration! Register for the FREE WRITE YOUR BOOK teleconference. And, if you already know you’re up for the three-call journey, I invite you to register for the additional WRITE YOUR BOOK: LET THE STORY UNFOLD sessions as well. Remember, when you connect with your deepest desire and recognize that the only person in between you and your book is you, then you’re in a great place to start! C’mon, you can do it — I know you can!